Our meats are roasted in large mobile gas ovens, with instant high heat for that perfect pork crackle every time. For friendly and very reliable service contact Randall. The Caterer that does it all, for you. Roasts Can Be Delivered Or Picked Up From$Shop 1 / 33 George Street, Gosnells W.A. 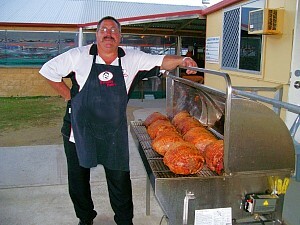 Randalls Roasts has become a very popular catering business around Perth, since its inception seven years ago. Because we are friendly, and offer top quality food at very reasonable prices. We are based in Perth, and service from Joondalup to Rockingham and Mandurah. 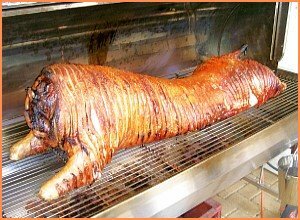 Whole pigs and lambs are usually roasted on site, however they can be roasted off site,delivered and carved or carve your self. a little closer, in the hope of getting a little piece of crispy pork crackle. Phone Randall now for any information, on 0404 019 022. OR, have Randall call you back. in washing and cooking of our fresh produce.